Malaysian palm oil futures fell to a one-week low on Wednesday as market sentiment remained bearish over high inventory levels, before reversing its losses at the close of exchange on brief covering. 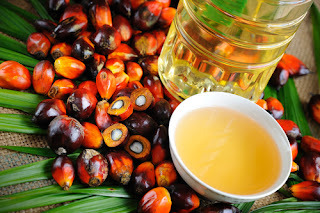 The benchmark palm oil contract for June shipping on the Bursa Malaysia Derivatives Exchange closed up 0.2 percent at 2,136 ringgit ($524.82) a tonne, snapping three preceding periods of declines. "There was once some brief overlaying toward the stop of the day," stated a futures trader in Kuala Lumpur. Earlier in the session, it fell as tons as 1.1 percentage to 2,109 ringgit, its lowest considering that March 19. "However, I am listening to that exports will be appropriate for the full month of March," stated one of them, including that it was due to extra demand in advance of the Muslim fasting month of Ramadan. Ramadan, which starts offevolved in early May this year, typically sees greater utilization of palm oil for cooking purposes. Palm oil inventories in Malaysia, the world's second-largest producer and exporter, rose 1.3 percent to 3.05 million tonnes in February from a month earlier. In other related oils, the Chicago May soybean oil contract fell 0.1 percent, whilst the May soyoil contract on the Dalian Commodity Exchange used to be up 0.04 percent. The Dalian May palm oil contract fell 0.4 percent. Epic Research Malaysia is the top Stock market Research & Advisory Company provides most traded commodities recommendation with high profitable commodity trading signals, Comex Premium Tips, gold trading tips, silver trading tips, crude oil, palm oil trading tips, Comex gold advice with 3 Day Free Trial.